Last month one of my acquaintances in LinkedIn pointed me to a very interesting dataset. 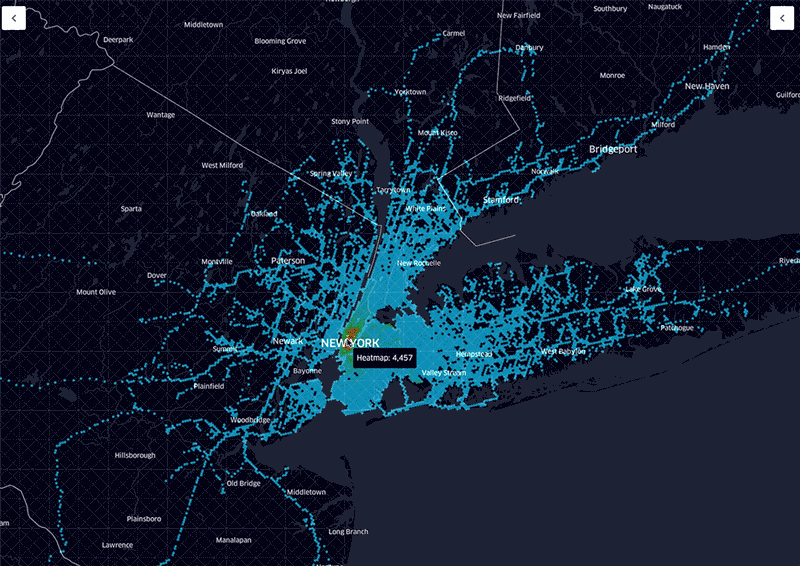 Uber's Movement Dataset. It was fascinating to explore their awesome GUI and to play with the data. However, their UI for exploring the dataset leaves much more to be desired, especially the fact that we always have to specify source and destination to get relevant data and can't play with the whole dataset. Another limitation also was, the dataset doesn't include any time component. Which immediately threw out a lot of things I wanted to explore. When I started looking out if there is another publicly available dataset, I found one at Kaggle. And then quite a few more at Kaggle. But none of them seemed official, and then I found one released by NYC - TLC which looked pretty official and I was hooked. To explore the data I wanted to try out OmniSci. 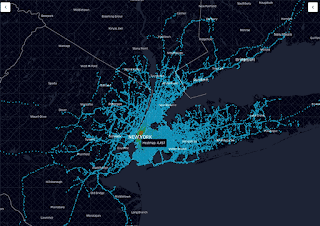 I recently saw a video of a talk at jupytercon by Randy Zwitch where he goes through a demo of exploring an NYC Cab dataset using OmniSci. And since my dataset was very similar to that, I thought of giving it a try. Just as a toy experiment I tried to answer and visualize the following. And also a bunch of interesting facts we can glean from this dataset. However, while trying to do this, I realized it's pretty hard to work on a huge dataset in jupyter directly if you load the whole dataset into a dataframe anyway. I used OmniSci's Cloud interface to load up my data and then connect to that dataset using pymapd to read the sql data. What I did not do was to be smart and utilize OmniSci's super powerful mapd core and slice and dice the dataset in the cloud itself. Which cloud have saved me a lot of time. For example, the query I was running on one-sixth of the whole dataset was taking 25 minutes. You can take a look at some of my rough ideas, tries and more graphs in this Jupyter Notebook. However, it seems OmniSci also has a super helpful visualization web interface as part of OmniSci Cloud called Immerse. And I was able to cook up these dashboards in less than 5 minutes. And Immerse was able to crunch through the whole dataset (not one-sixth) almost instantly and produce these charts for me. I am pretty impressed with it so far. And it seems with help of pymapd and crafting some sql queries, I should be able to harness this speed as well. That would be my next try probably. Can we load it up in kepler.gl (more specifically using this demo as a template) and have a nice timeseries visualization?